According to the husband I have way too many pairs of shoes. When we moved in together he was just a teeny bit shocked to discover just how many pairs I have lol. A girl needs shoes for every occasion! So a shoe and makeup collaboration..? Don't mind if I do! 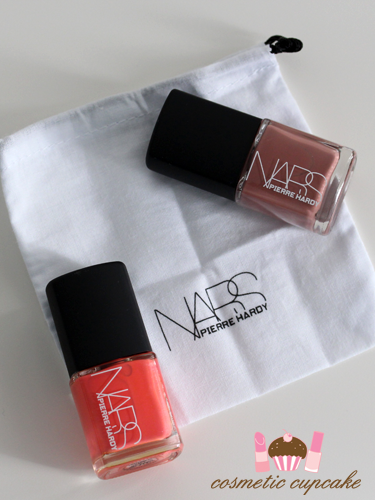 NARS recently made this happen by collaborating with designer Pierre Hardy to create a 6 nail polish pairs and 2 blushes inspired by his latest footwear collection. 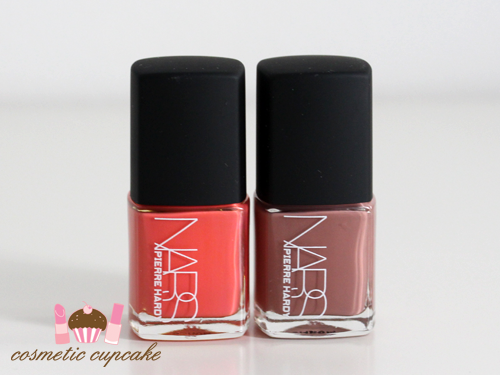 Today I have swatches of the nail polish duo in Vertebra for you! In a bold new collection for NARS, designer Pierre Hardy brings his fresh colour palette to the iconic beauty brand. Inspired by his Summer 2013 shoe collection, Hardy's offering includes six colour-forward nail polish pairings and two richly-hued blushes. Nail polish duos come housed in a small shoebox with dust bag (a nod to Hardy's own footwear packaging), while the high voltage blush palettes go graphic with shimming gold overspray of the designer's signature cubic print. 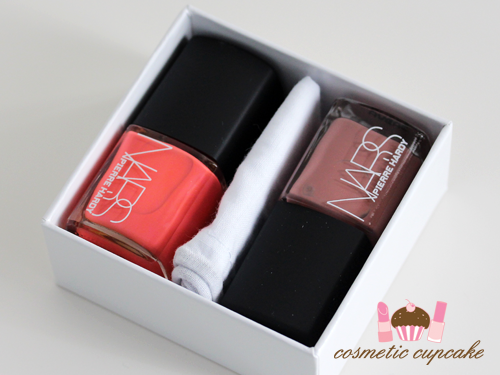 The polishes come in a "shoe box" with a cute dust bag just like a pair of shoes! The polishes aren't named individually either - just left and right carrying on the shoe theme. 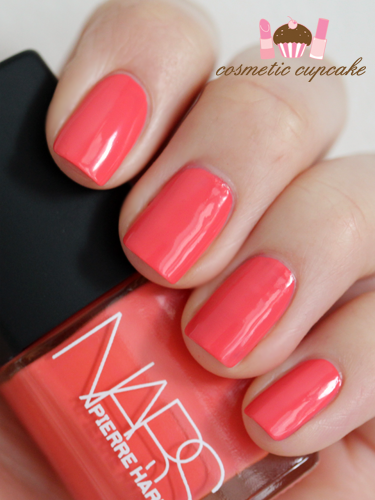 Vetebra Left is a bright coral creme that leans pink on me. Some shades of coral tend to do this on me for some reason! 2 coats is pictured. Vertebra Right is described as a "dusty rose" but it's not really a rosy sort of colour to me! More of a beige-brown. 2 coats is pictured. Overall: The formula on these is absolutely fantastic! They are super pigmented and if you're careful both could easily be one coaters. I only own one other NARS polish (Pokerface) and I wasn't super sold on the formula - the formula of it was thicker compared to the Vertebra duo and I experienced balding. The Vertebra shades on the other hand applied wonderfully with no balding or streaking and they dried quickly to a glossy finish. 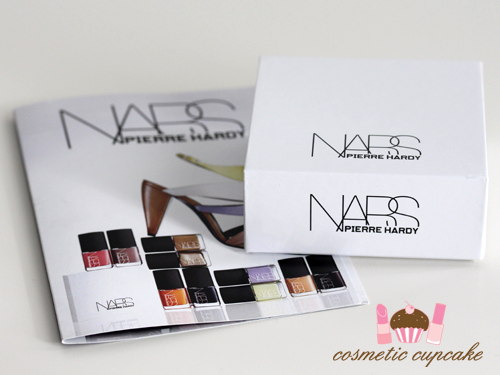 Details: The NARS Pierre Hardy polishes are available now from Mecca Cosmetica and Mecca Maxima stores for $39. Besides nail polish and makeup my other love is food. 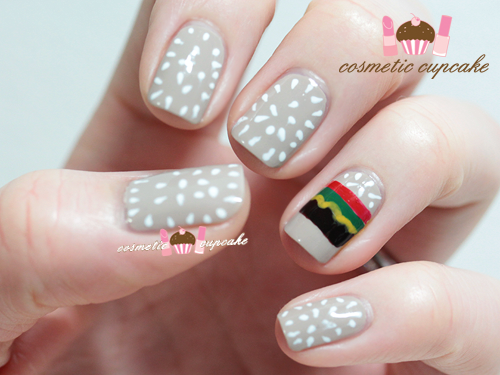 And what better way than to put both loves together for food nails! 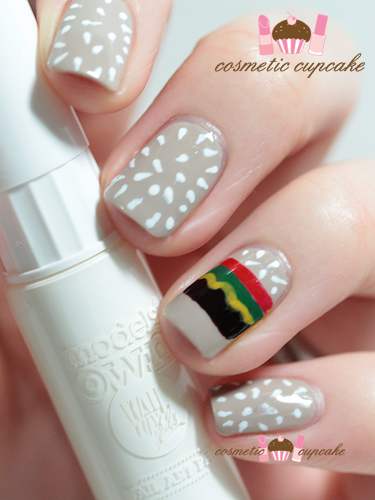 Seriously I don't think there is any better combo ;) This mani is inspired by the burger nails by The Illustrated Nail. I love their nail art and when I saw the pic of this mani I had to try it out myself!! I used 2 coats of OPI Van Gogh* as my base for the bun. For the tomato I used Nail Star 2 way nail art pen & brush in red and for the lettuce I used the green. For the meat pattie I used Ulta 3 Chocolate Cake and I used a small nail art brush to draw the cheese using Bloom Emily Green Ochre*. Lastly I used the Models Own nail art pen in white for the sesame seeds. 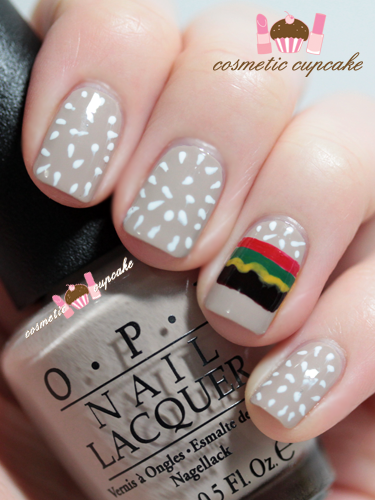 Food inspired nails are always so much fun!! 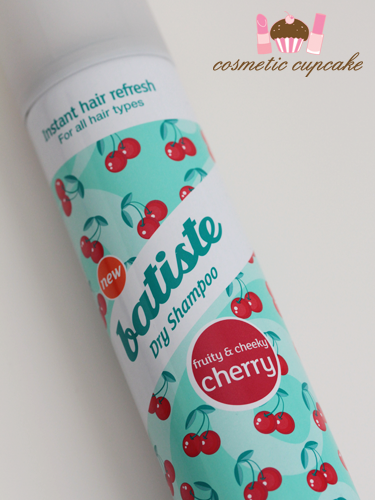 Any recommendations for other food manis? Thanks for looking as always!! I'm super excited to tell you guys today that I'll be teaching a beginners nail art class next week! The class will be held at The Work-Shop and I'll be teaching some beginners nail art such as glitter gradient nails, polka dots and ombre nails and sharing my nail art tips and tricks. 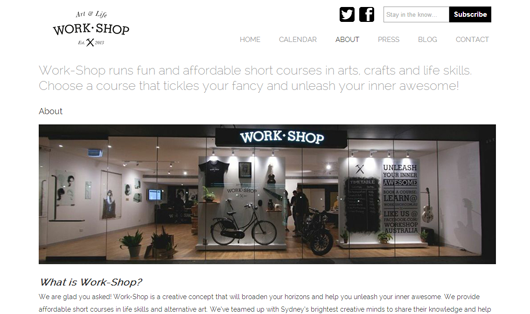 The awesome folks at The Work-Shop are based in Broadway, Sydney and run affordable fun short courses in arts and crafts and life skills. They are community driven and their aim is to inspire people to put down their technology and to get creative! They have classes on flower crowns, gardening, to tattoo illustration and street art. For full details about the class, check out the class details on their site here. Nail polishes will be provided thanks to one of my fave Aussie brands Face of Australia and other tools will be provided too! There are limited tickets available so make sure you book soon! I showed you Scandal Cosmetics Heart Laquer in 60 Mocha Sparkle a few weeks back in my black studded manicure and I have some quick swatches for you today. It’s such a pretty glitter I had to use it on its own! Mocha Sparkle is a very fine gold and bronze glitter polish with a tiny bit of blue, green and purple glitter thrown in. It’s covers quite evenly but you’ll need a few coats for opacity so it’s probably best layered over a base colour such as a gold or bronze foil or perhaps a black crème. I wanted to try it out by itself though so I used 3 thin coats which is pictured. Blurred shot to show the sparkle and the teeny purple, blue and green glitter! Details: Scandal Heart nail lacquers are available from Scandal Cosmetics online store for $4 and Blackline lacquers are for $5.50. Thanks so much for looking and happy shopping! Happy weekend ladies! A few quick swatches for you today of Ulta 3 Earl Grey which I've been wanting to pick up since it first came out but never picked up because I have a few shades which are similar! I had an earl grey tea today at breaky and on the way home decided to just buy myself a bottle hehe. 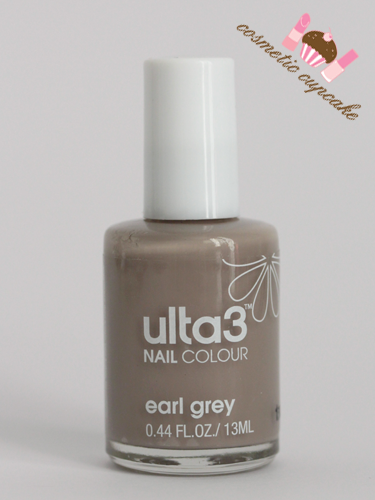 Earl Grey is a pale taupe creme that does remind me of earl grey tea! While I like the shade, application was rather difficult which was disappointing. The formula was thick so it was difficult to get a clean finish and it just wouldn't level. It seemed to thicken before I finished polishing one nail! I used 2 thin coats and 1 thick coat to try and even it out. Details: Ulta 3 nail polishes are available from selected pharmacies, Target stores and Woolworths for $2. You can use their Facebook store locator app here. I think over the years I’ve tried and tested at least 2 dozen different base and top coats in the quest to find the perfect combination. I’m lucky I’ve found my Holy Grail top coat but I like to mix my base coats up every so often and I’m always interested in discovering new top coats! Just in case there’s a better combo out there ;) Today I’m reviewing Scandal Cosmetics Heart Lacquer base and top coat. The Heart Lacquer base coat is a light pink shade and has a thin milky formula that dries very quickly to a matte finish. Overall: I’m enjoying the Heart Lacquer base coat however the top coat just isn’t suitable for me due to the long dry time. I love when companies make their treatments completely different in the bottles (base coat is milky pink and top coat is blue) so there’s no chance of accidentally grabbing the wrong one. 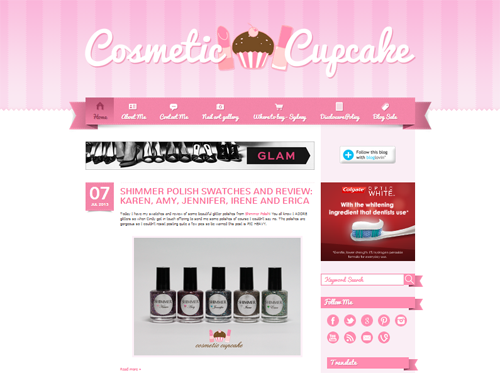 Cosmetic Cupcake has had a makeover!!! I cannot tell you how unbelievably excited I am. It's been months of organising and designing by the hubby with quite a few delays but it is finally live!! Updated social media links with my Facebook, Twitter, Instagram, RSS etc so it's easier to get in touch and stay up to date with my ramblings. 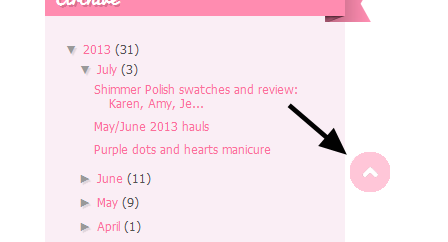 At the bottom of the page are some suggested posts for nail art, reviews and lifestyle and my most popular posts too. I've been blogging for 3 years now and it's a lot of posts to go through! 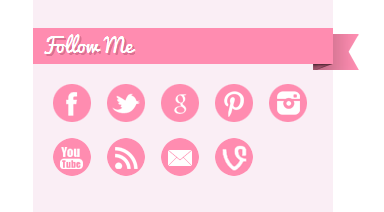 And a nifty little "scroll to top" button the hubby wanted the blog to have! 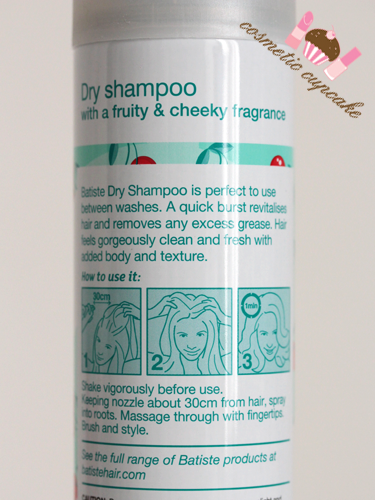 I must say it is very very handy!! It's all rather new so there's bound to be missing links and hiccups so bear with me and please let me know in the comments below if you find anything strange. There's still a few things that will be tweaked and updated over the new few months until it's finally the way I want it. 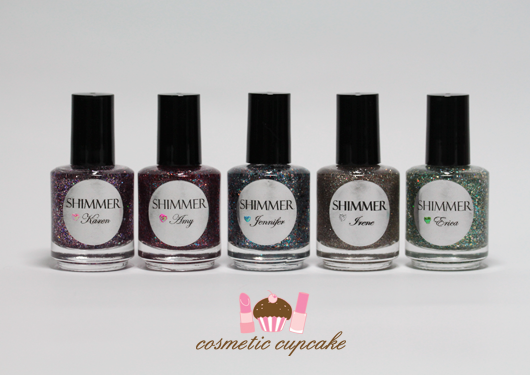 Today I have my swatches and review of some beautiful glitter polishes from Shimmer Polish! You all know I ADORE glitters so when Cindy got in touch offering to send me some polishes of course I couldn't say no. The polishes are gorgeous so I couldn't resist posting quite a few pics so be warned this post is PIC HEAVY. Helloooooo! I thought I'd share my hauls for May and June with you all. I wasn't really been able to haul much in recent months due to my wedding but now I can do some hauling again yaaaaaaay =D I hauled mainly polish (what else seriously?!) of course! 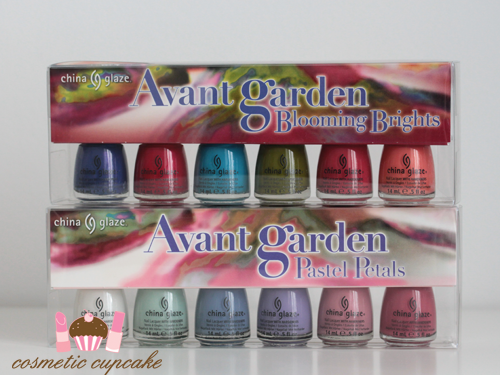 China Glaze + pastels = MAJOR LEMMING so of course I had to get the Avant Garden Blooming Brights and Pastel Petals collections!! I love China Glaze pastels and these are just perfect. I couldn't go past the gorgeous glitters and cremes in the Cult Nails Dance All Night collection and picked it up in the preorder sale and received a Wax That top coat free. I also picked up Nevermore which I've been wanting to get for ages and also Happy Ending as it was on sale hehe. I realised that I haven't purchased any Cult Nail polishes in 2 years! I love the look of black and white glitters but hadn't added any to my stash yet so I picked up this cheap as chips glitter set from Models Prefer. 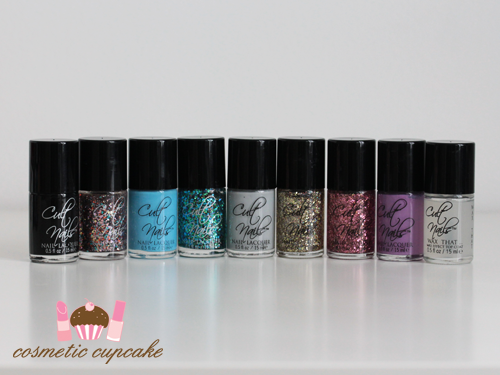 I've been stalking every Chemist Warehouse store near me and at work for sooooooooooooo long now for the W7 Sprinkles polishes and I FINALLY found them! Well I found 2 - Mosaic and Lava Flow - so I'm still on the hunt for Salt n Pepper. I have no idea why they're so hard to find! 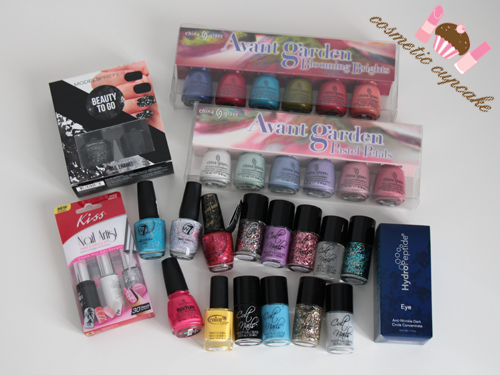 A Pro Nail haul! I picked up China Glaze Texture Bump & Ground in May when I picked up the Avant Garden collections and then Color Club Almost Famous and OPI The Impossible when I went last week with Anita and Ange. 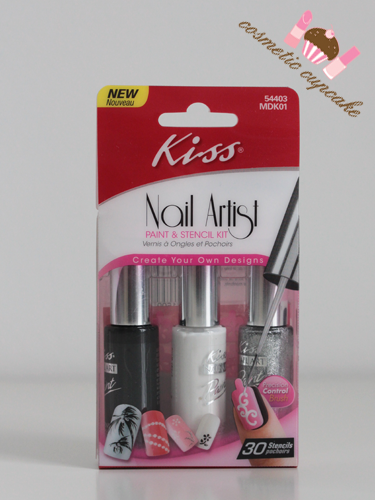 I love the white striper from the Kiss nail artist paint & stencil kit (you can read my full review of it here) and I've been needing another one but it's been so hard to find! I finally found it at Big W and on sale too woot. 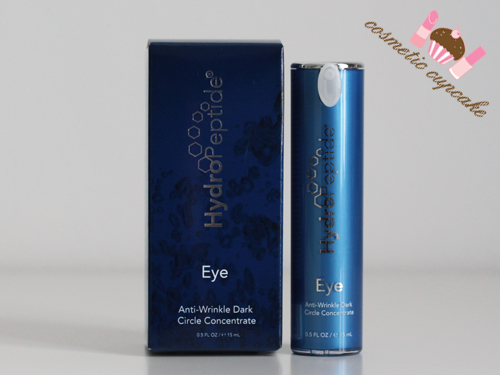 I've been getting facials from Ella Rouge for the last few months and my beauty therapist recommended the HydroPeptide Anti-Wrinkle Dark Circle Concentrate. I've been on the hunt for a new eye cream and they had a 20% off sale so I decided to try it out. I haven't used it just yet as I'm finishing my Kiehl's one!